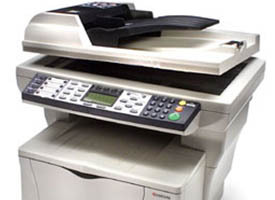 HOMESTOWN BUSINESS MACHINES provides comprehensive business machine repairs and sales, including vintage typewriters as well as modern printers, copiers, shredders, and fax machines. We are the number one choice for vintage and antique office equipment in Staten Island, as well as later-model typewriters. With over 40 years of experience in the industry, we have the know-how needed to keep all of your classic machines running at peak efficiency. 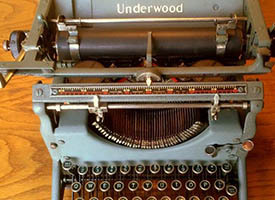 We proudly sell, service, and restore a wide range of typewriters. Discover the finest typewriter restorations available today. Our professionals also specialize in servicing a wide range of modern business machines. Don't let your fax or printer give you fits; let us help! Learn how our passionate expertise can improve your business or writing. Since 1995, Michael Ardito has dedicated himself wholly to the repair, sale, and upkeep of a wide range of business machines. He is fully trained to diagnose and repair all major brands, including Kyocera, Canon, Sharp, and HP. Modern and vintage typewriters are his passion, as he spent year after year tirelessly learning the trade from old masters in the typewriter service industry. He is familiar with all major typewriter brands, including IBM®, Royal™, Smith Corona™, Olivetti™, Underwood™, and so much more! He has even further specialized in servicing IBM® Selectric typewriters.